Hadley, Ross Raymond - Age 81 years of Hadleyville, Guysborough Co. passed away on Tuesday, September 11, 2018 in the Milford Haven Home for Special Care, Guysborough. Born in Antigonish on September 29, 1936, Ross was a son of the late Cranswick and Mamie (MacPherson) Hadley. He was a member of the Labourers Union, having worked on various construction projects in Eastern Nova Scotia and Cape Breton. Ross was also a stevedore and linesman for F.K. Warren. 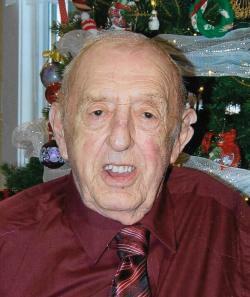 He was a lifelong outdoorsman and greatly enjoyed deer hunting, and trout fishing. Ross was an avid reader of western pocket books. There will be no visitation. A funeral service will be held at 11 a.m. on Saturday, September 15, in Hadleyville United Church with Rev. Heather Manuel officiating. Burial to follow in the church cemetery. In Lieu of flowers, donations in memory of Ross may be made to Milford Haven Home for Special Care, Guysborough or Hadleyville United Church Cemetery Fund. Hadleyville United Church, Hadleyville, Guys Co.
Hadleyville United Church Cemetery, Hadleyville, Guys Co.